Led by JA Europe and endorsed by the European Commission, the EE-HUB is a specialised international network bringing together European and national governments, businesses, NGOs, researchers and educators to collaborate and share knowledge. It is a unique source of expertise, experience and research, with the mission to increase the quantity, quality and impact of entrepreneurship education in Europe. 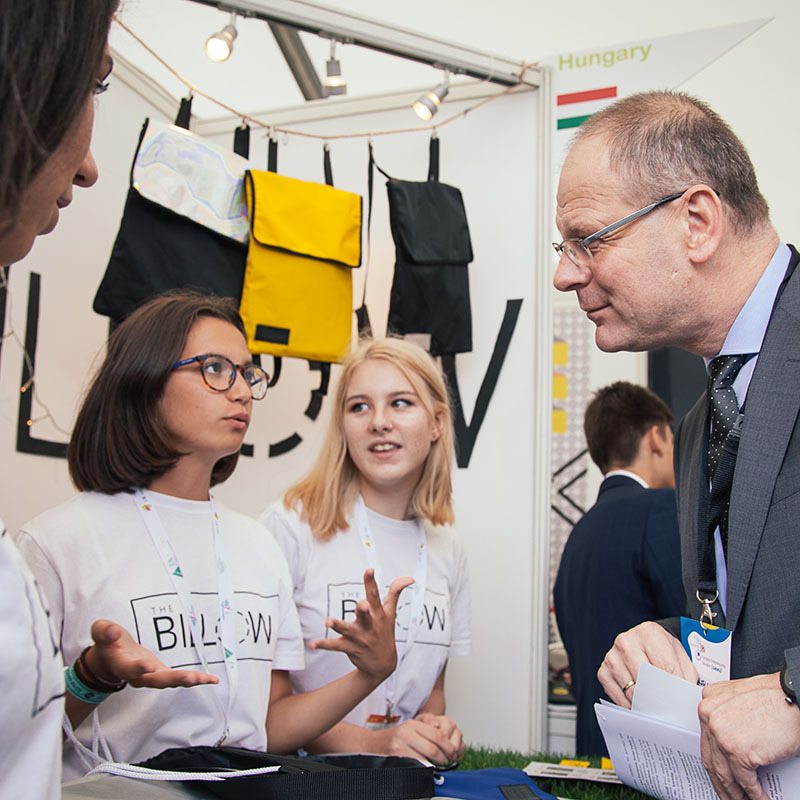 Together with JA Europe, the EE-HUB advocates that every young person should have at least one practical entrepreneurial experience before they leave school. We track progress and key policy developments from across Europe, map research results and share findings, produce and disseminate reference frameworks and standards. We provide orientation and training through professional workshops, access to content and know-how, tools/instruments and relevant policy initiatives, organise workshops & peer-learning sessions. We are the voice of entrepreneurship education in Europe, influencing policies by engaging in advocacy actions through partnerships, advice, policy recommendations, consultations, meetings and events. Why is more entrepreneurship education needed? Students who have had an entrepreneurial experience at school are 50% more likely to start their own business. 75% of European teachers do not feel encouraged to bring innovation to the classroom. 40% of companies across Europe have difficulty finding staff with the skills they need.